Deadpool’s Art of War #2 comes out tomorrow November 5, 2014. A preview of this issue can be seen here. • Deadpool’s war is well under way...and out of his control! • Loki has the conquest of Earth in his sights...and the ’Pool in his dungeon! 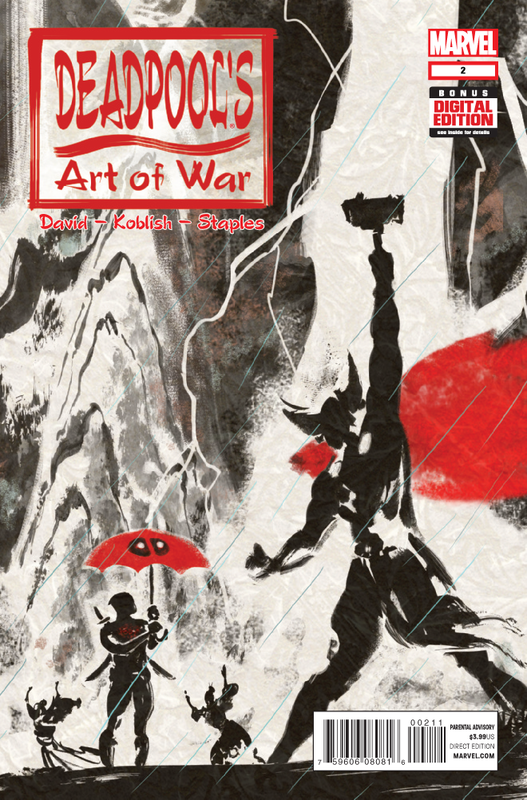 • Fortunately, DP knows the secrets of war, right? RIGHT? !